Thirteen generations of one family doing the same thing for a living? It’s like something in a novel. Like thirteen generations of butchers, bakers or candle-stick makers. What is it like? I wondered. Klaus Reif is president of Canadian winery Reif Estate. But his childhood home and vineyard are in Neustadt, Germany. 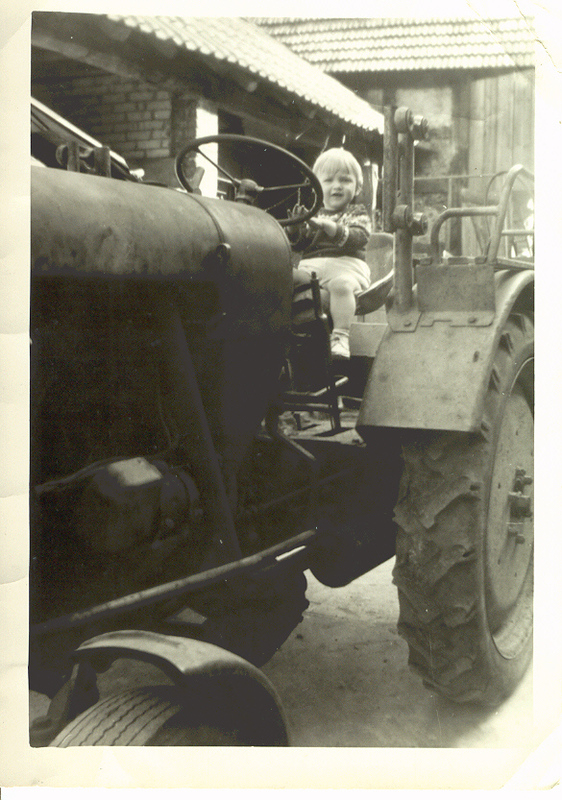 In 1978, Klaus visited his uncle Eward in Niagara on the Lake, an idyllic part of Canada. 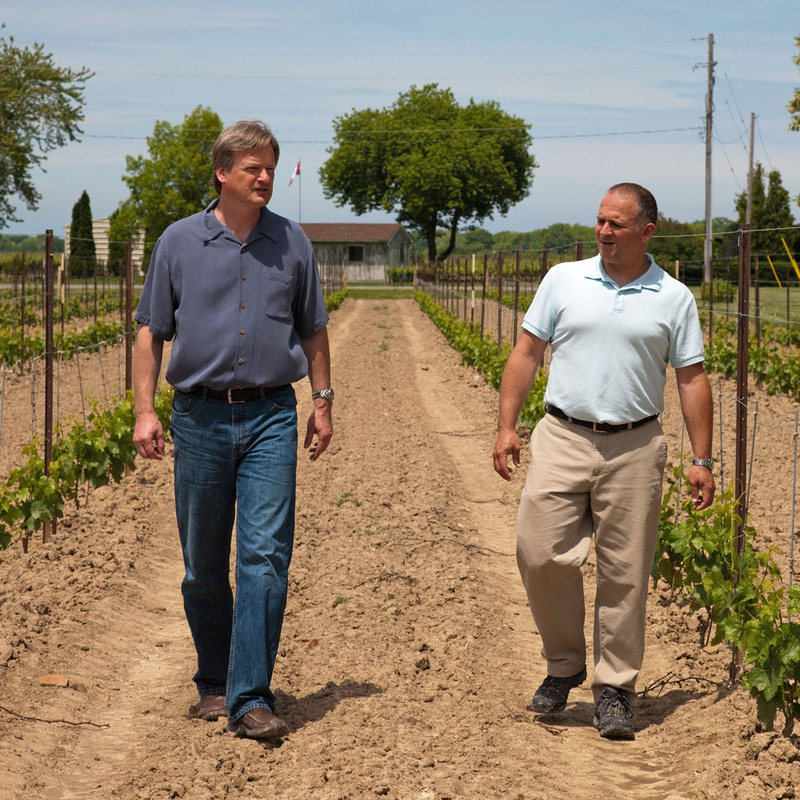 Eward had started a vineyard in ‘NOTL’ just the year before, making him one of Canada’s wine pioneers. Klaus fell in love with Niagara. He returned to Germany, determined to learn more about both winemaking and business. He studied at prestigious winemaking institutions. Klaus’ uncle handed him the reins. Believing that great wines start in the vineyard, Klaus focused on creating small batches of exceptional wine. One of his first was “a simple wine”, a Vidal icewine. Named one of the Top Ten Wines of 1987, the Vidal has a special place in Klaus’ heart. 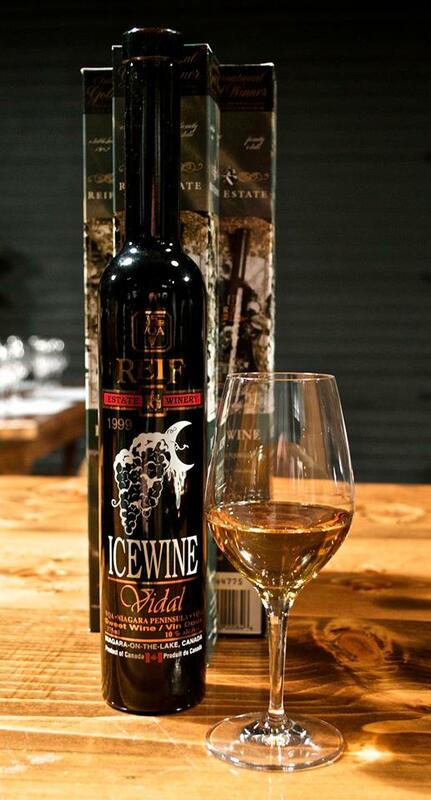 It helped Reif to grow, becoming its most popular wine, while helping Reif win 100 gold awards for icewines. 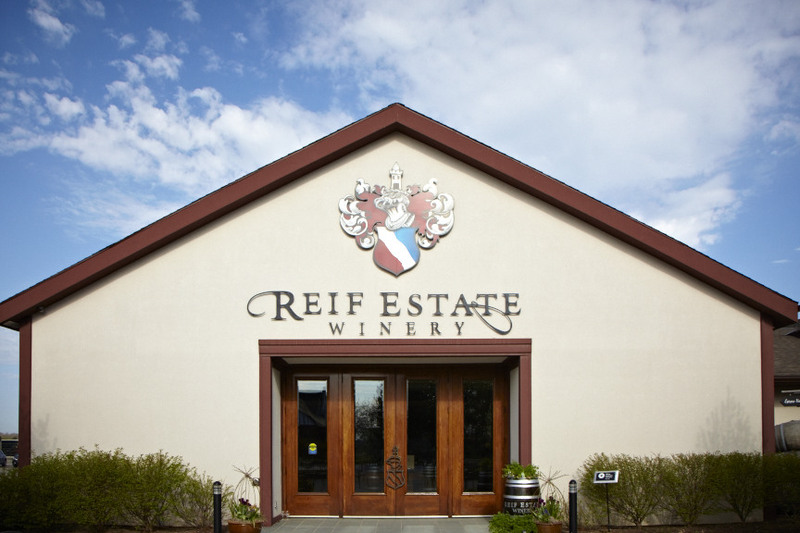 Reif focused on improving its wines and production facility. Reif has won one international award after another. Reif was also honoured as Canada’s top winery. Klaus’ special place in the vineyard is the “22 rows of the Chardonnay block”. During tough times, it was the backbone of the farm, creating the income Reif needed to make it into the next year. 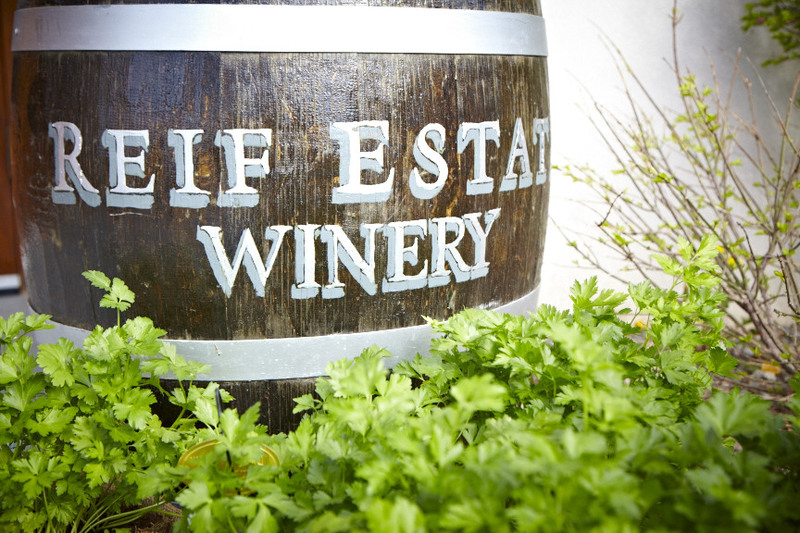 Reif produces about 35,000 cases of wine a year — including one of Klaus’ favorites, the Riesling. 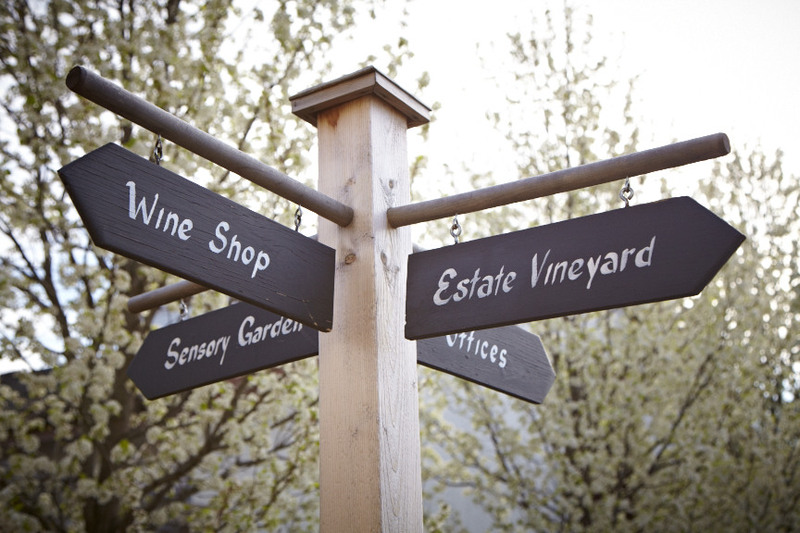 Wines are sold online and at the winery at 5608 Niagara Parkway, Niagara-on-the-Lake. Tastings, tours, weddings and corporate events are held there. Klaus found great success in Canada. So: what is it like for Klaus — far from his family home? Photos from Klaus and Reif Estate. What a great story! And what an adventure it must have been for him starting up so far away from home. Lovely to see the photo of him as a little boy too! Thanks, Karen. Klaus’ journey is an interesting one. Yes — Isn’t it such a great photo? I found this really interesting especially his comment about emigrating when he was young. I nearly went to live in Austria when I was nineteen and had no thought for my family in England. I only thought about my future life away from home. My adventure did not succeed and I came home disappointed. I can sympathise with Klaus’ feelings of wistfulness at being separated from his German family. As I have got older my feelings of being part of a family have got stronger and I am not sure how I would have felt living a long way away from my siblings and parents as they aged if I had managed to stay in Vienna. i do so agree with you, Clare. It is true that when one is younger, it’s the thought of adventure that is the biggest thing. Having missed my loved ones so much after leaving them behind, I empathize with Klaus. I’m sure you do. Life is full of hard choices isn’t it? So right. When I was 15, I thought I’d have made all the tough choices by age 20, or at least 30. Ho Ho! how little we know of life when we are young and how easy it all seems. I am so glad I can remember feeling so optimistic and energetic – so sure that I couldn’t fail. Cool… we holiday in Alsace a lot and you get the same kind of thing, families who have been making wine for well.. a sod of a long time. And it’s amazing. Yes, how easy it is to leave the family when one is young! I don’t regret my adventures but being separated from loved ones seems to be part of our family tradition, going right back to the generations who made the pioneer journeys from England and Scotland to New Zealand. It’s the sacrifice that immigrants make. And when you look at the success of Reif Estate, you see the best of the “old world” and the new world. In one chapter of “A Good Home” (actually in quite a few chapters) I wrote about the homesickness that often accompanies becoming a great success in one’s adopted country. I missed them so much, yet felt almost ungrateful, in the face of such success in Canada, to mention it. I respect Klaus’ frankness in admitting to how much he misses his family – still. 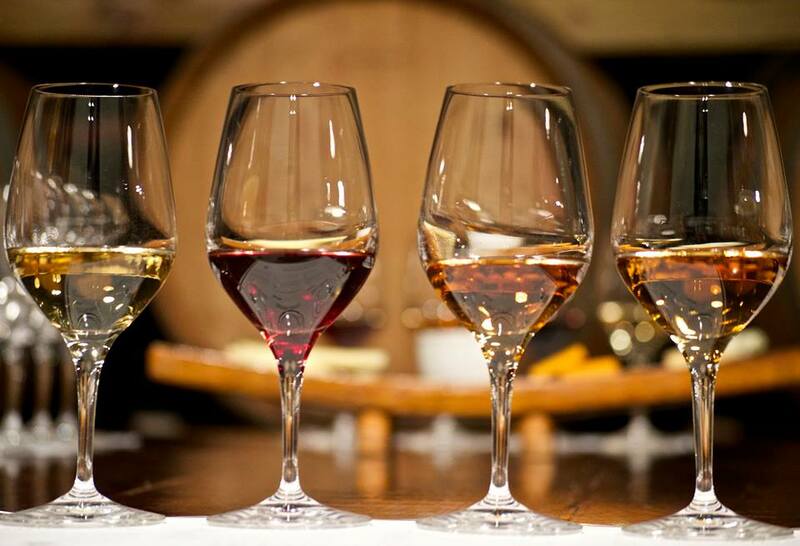 Just wondering about the impact of climate on ice wine production… Saw a documentary on an Air France flight a while back about how European vintners were dealing with the anticipated changes. Very interesting and challenging– to all farmers, really. Thanks for sharing this story! Good question. Haven’t heard anything in Canada yet. I’ll nose around. One of my cousin’s sons just couldn’t be happy in an office and traveled – ended up far away on a vineyard. A few years later he returned and help start his own vineyard in California. Now the entire family is part of that. You just have to be brave and go find your place. I never thought about Canadian wine, but it make sense there would be vineyards in this region since it is close to the wine making region of upstate NY. When I think of Canada I don’t think of wineries. I’m surprised! It’s really exploded in the last 25 years when Canada started scooping up the European based awards for its wines. I suppose it took a while for the vines to mature, but even more so for vintners to discern what vines grew best in our cold climate. I have been there for a wine tasting a few years back and last year a friend who lives in Florida came up for a week and spent a night at Niagara on the Lake (only 25 minutes from our house!!) and brought me an ice wine from there. Still have it in my cupboard waiting for a special night this summer. Glad to hear you have been there, Tina. Nice place and good wine! Oh I haven’t been to Reif. I’ll have to go. I’m sold. I love Niagara wines. 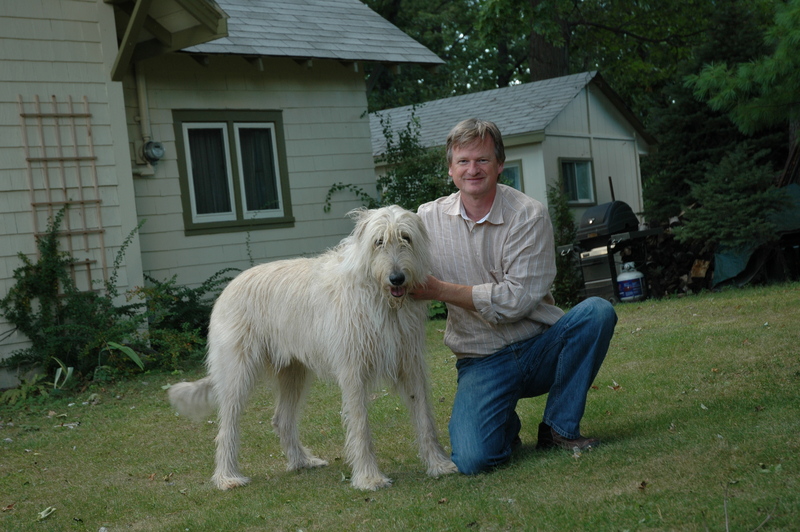 But mostly I LOVE the the photograph of Klaus with his dog! That is one fabulous fabulous dog.